I got most of my information about the community though from a wedding present. Writer Sonia Levitin gave me a copy of her book, “The Return,” which is a historical fiction novel that chronicles Operation Moses. 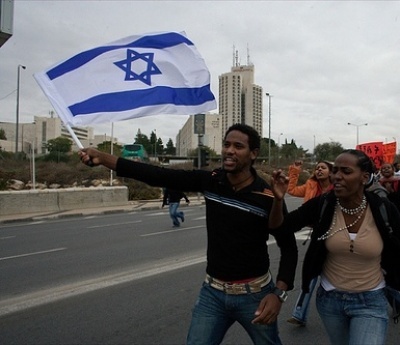 Still, it was nice to find this article in my inbox today, “A Family Affair as Ethiopians, Israelis, Jewish-Americans Celebrate a Shared History”. Too many Jews think that Judaism is made up of solely Ashkenazi (Eastern European) Jews. It’s nice every once in a while to be reminded that really that’s not the case and there are plenty of Jews that look like me and…you! It was 30 years ago that I first became involved in the American Association for Ethiopian Jews.